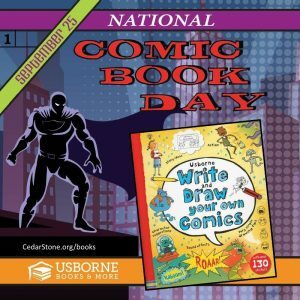 CedarStone Children's Bookstore in Syracuse, Indiana | Books, games, and other fun things for kids ages newborn to adult! 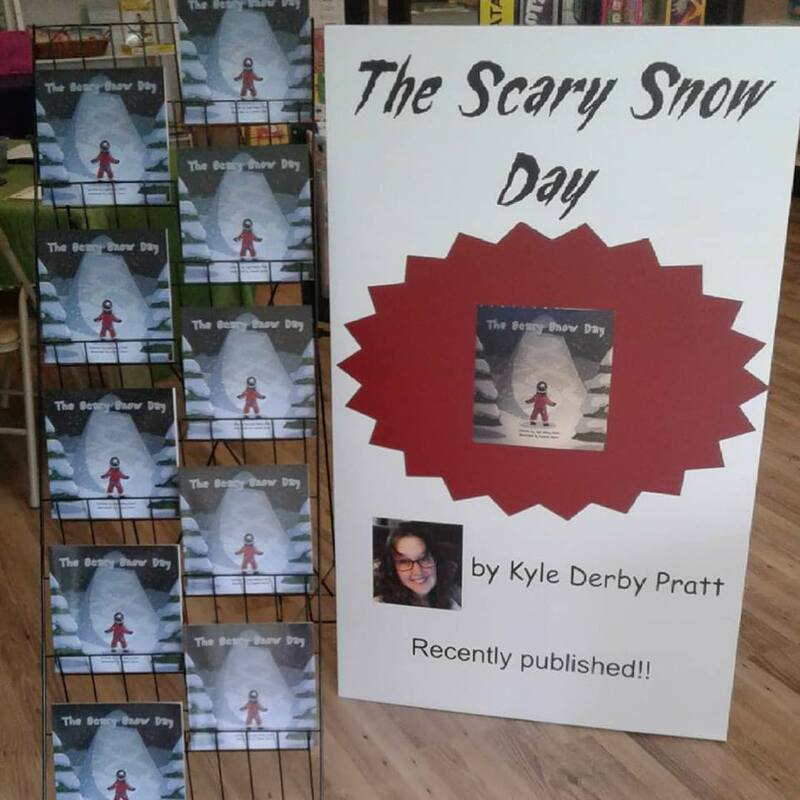 CedarStone Bookstore is proud to announce that we have SIGNED copies of The Scary Snow Day by Kyle Derby Pratt available in the store now! Ms. Pratt is a local author from Noble County who has graciously given each copy of her book a personal inscription and signature. 710 N. Huntington St., Syracuse, northern Kosciusko county. Open 12-8p.m. This is so cool; I can hardly contain my excitement!! I made a video for the Storytime part of the store and used this song because of the time needed (about 56 seconds). Then the music started. My first thought was, “I’m way too old for this music. 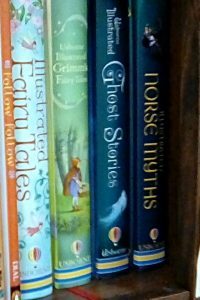 It sounds like something the 20-year-old kids would like.” Then the words began…and the song fits these books perfectly! Oh, wow, I love it. I hope you do, too. Click the link above to see the video and hear a new version of Hickory Dickory Dock (by Peter Maslan). UPS brought us new fantasy novels from author Rick Riordan, recommended to me by Zack. Zack said we need to have them here, so now we have them! We have the first novel in each Riordan series, so if you’ve read one complete series and loved it, come in and look over his other fantasy works; I’m sure you’ll find something new to love. 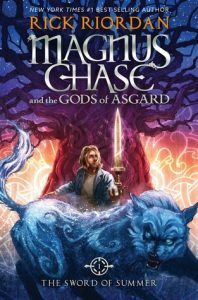 Here is a review of book #1 in the Magnus Chase series. Be sure to stop the video at 2 minutes, though, because after that, it’s full of spoilers. https://www.youtube.com/watch?v=Wrd1-tV56xA That reader is so excited about this book; I wanted to start reading it for myself. But I won’t. I’ll let you buy it and read it…then I’ll get 2 copies next time so that I have 1 for myself! 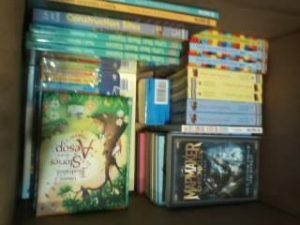 Spend your child’s college fund on books today instead of saving all of it for college when he’s older; it’ll do more for him. 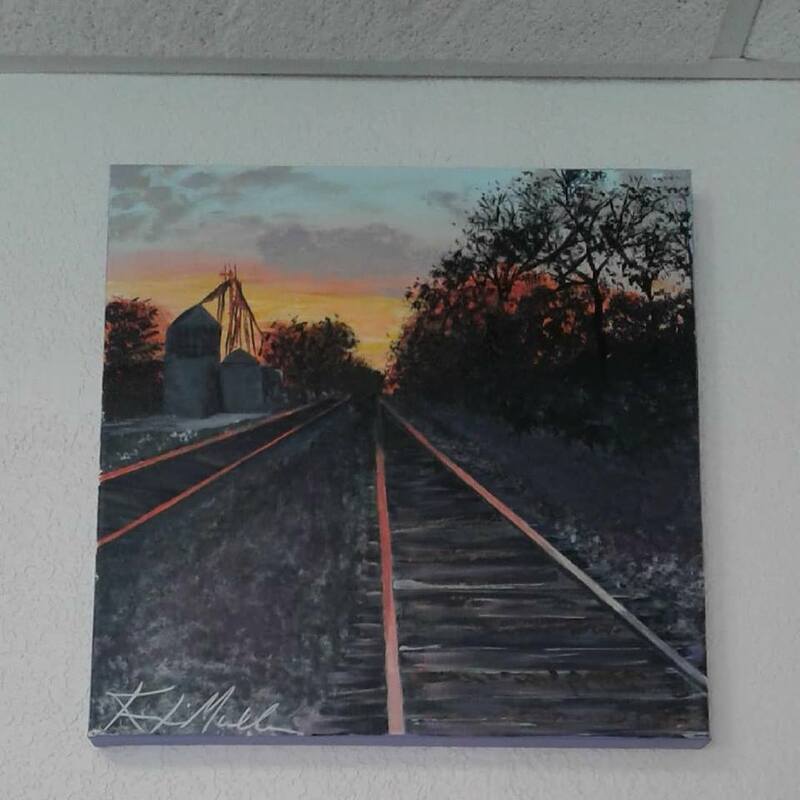 Open 12-8pm each day. Closed Sundays. I should just ignore the question marks, right? Just pretend they aren’t there. I can do that. This entry was posted in video on by mrsward. You’ll notice the chocolate part is flat not peaked; I didn’t have Hershey Kisses, so I used Sugar-Free Reese’s PB Cups.? Another substitution I made: I used Splenda instead of sugar because I’m low-carb.? Then I didn’t pay enough attention to the instructions and put the PB cups in the middle of the cookies?before I cooked them instead of after.? And yet they tasted great!? I am so impressed by how good they taste.? I’m used to needing flour and brown sugar and various spices to bake cookies, but these cookies didn’t need any of that stuff to be delicious.? And imagine how much better they would have tasted if I had done them correctly! 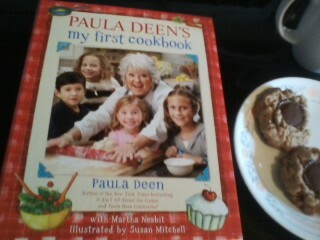 To make this recipe (and many, many others), call me to get your copy of Paula Deen’s My First Cookbook for $21.99. This entry was posted in reviews, school age on by mrsward. 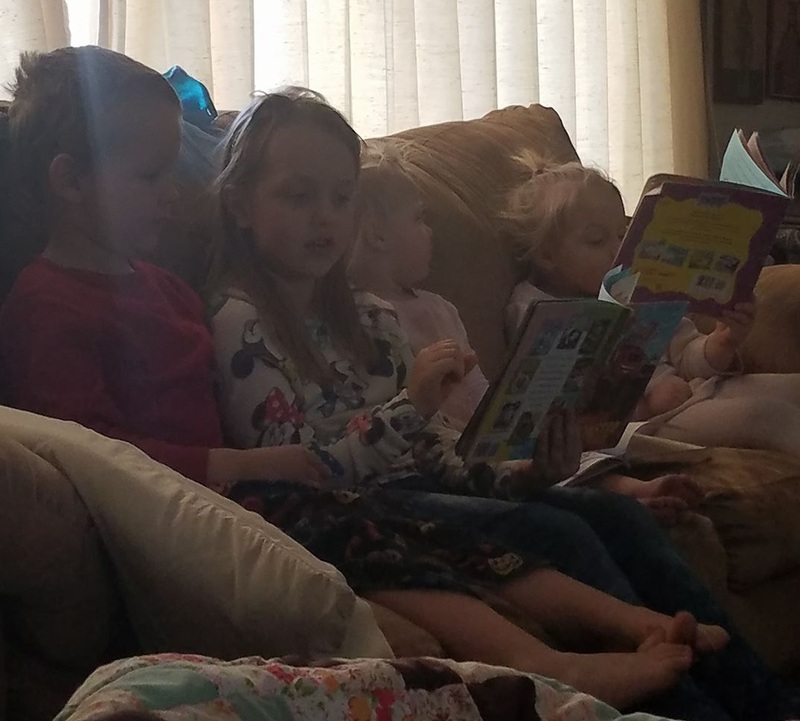 If you haven’t read about why you shouldn’t homeschool (by a homeschooling mom), you have to read it.� Be ready to laugh, because she goes through all the reasons that non-homeschooling people mention as to why we shouldn’t do it. This entry was posted in games, Reading on by mrsward. This entry was posted in Reading on by mrsward. Play might not be the first thing on your list when you�re busy changing dirty diapers and getting up for 4 AM feedings. However, even the smallest forms of play early on are important for your baby�s development. 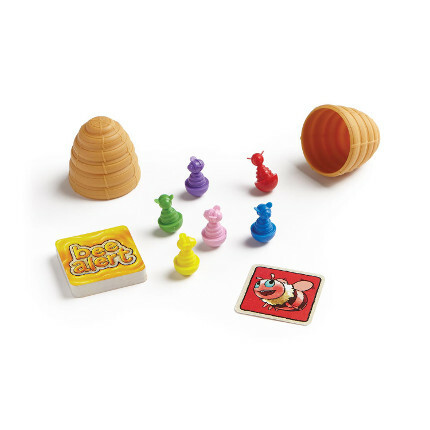 Simple forms of play are ideal for babies and toddlers. It gives them a developmental boost that helps them the rest of their lives. Plus, what�s more fun than making babies laugh? Play begins from day one. While your newborn can�t play with toys and run around like a toddler would, they still benefit from being talked to and shown new things. To them, this is play because it�s helping them to discover the world around them. This early form of play helps form a foundation for them to continue learning and socializing. While these might seem minuscule, they�re major milestones for babies and toddlers as they learn to thrive in the world around them. 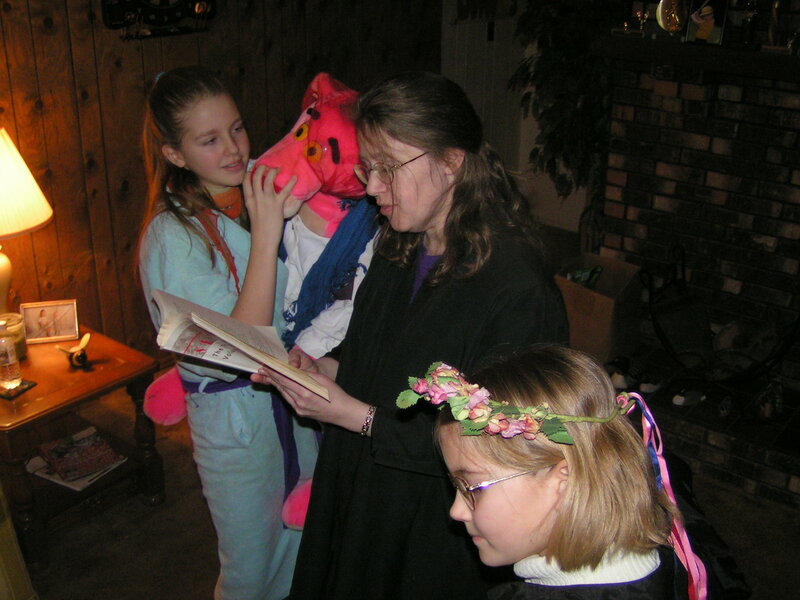 Play isn�t just something kids do for fun, especially at this young of an age. Play is a type of exploration that helps them develop emotionally, socially and mentally. A shocking 75% of brain development happens after birth. This is why play for babies and toddlers matters. The earlier you start, the better it is for their development. Babies are eager to learn any and everything. After all, they start as a blank slate and it�s up to you to help them develop through playful interactions. Think of early play like school. Each grade builds upon what a child learned in the previous grade. 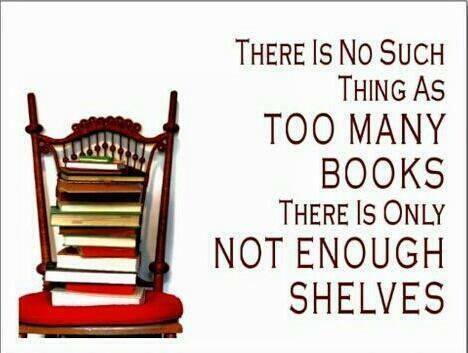 The same goes with play. 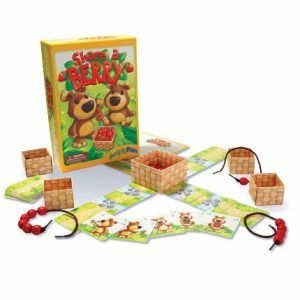 The types of games change over time, but that�s just because they�re building on the skills they have already developed from earlier forms of play. Remember, it�s never too early for children to start playing. Whether it�s playing with you or themselves, play is a vital developmental tool. This entry was posted in babies toddlers, games, Reading on by mrsward. 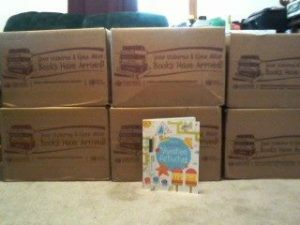 To see all the new books, meet me at the Elkhart county 4-H fair July 20th to July 28th.� This is just the first shipment.� The other books are still on the way! 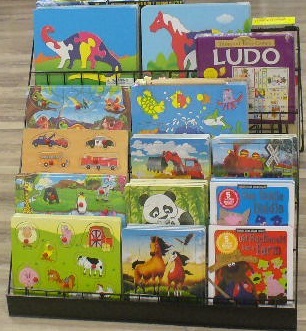 Just a few of our newest books – publishers are Usborne & Kane Miller. � �You already know children love to play, but did you know that young children are actually wired to learn from play? � �Play isn’t just something enjoyable for kids. 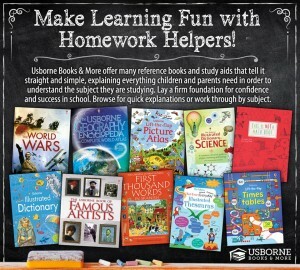 It’s a vital educational tool that helps with their lifelong development. Their brains are made to experience the world in a playful way. � �The way children form these vital connections is important. For instance, in one study, children who were given specific instructions on how to interact with a toy only learned one thing that the toy did and they became bored quickly. � �To read more about important learning windows, how children are wired to learn from play and how unstructured play is an important companion to structured learning, visit the SimplyFun blog article, “How Young Children Are Wired To Learn From Play”. This entry was posted in babies toddlers, games, school age on by mrsward. This entry was posted in school age on by mrsward. 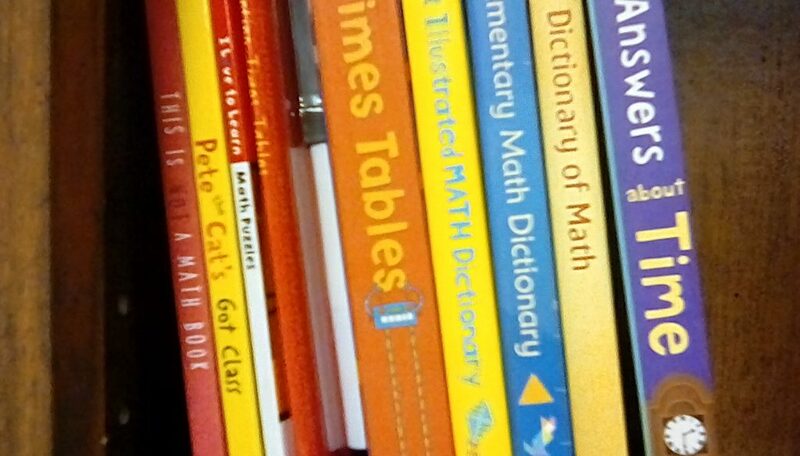 When your kids are learning, they need reference books. �Depending upon google to find answers is a bad idea because google finds everything the internet has to offer instead of just the sites that have accurate information! �Don’t let the internet fill your child’s memory with nonsense; give them the facts. 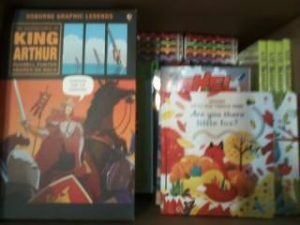 This entry was posted in Reading, reviews, school age on by mrsward.